This resource if available both on- and off-campus (off-campus users will log in with their NetID and password). 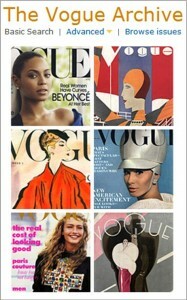 We are delighted to be able to offer the Vogue Archive, and we invite all our library users to try it out soon! Need help? Call Library Reference at 270-745-6176, or ask us online.